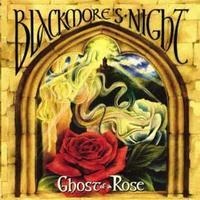 Looking back on Blackmore’s Night’s catalog, this happens to remain at the top of their best releases, and it is surely a fan favorite. At the time it was getting interesting for this act, as they started to really shine together and stretch out musically. All of a sudden they seemed to be taking themselves more seriously, and were being taken more seriously by their fans as a result. They continued to fuse medieval and pop together but began to turn up the volume and emphasize rock a little more on this record, which found them at a better balance than on their previous releases. The synth guitar intro instantly grabs you here and doesn't let go, as the song plays out like some kind of fantastic journey. This is awesome and one of their more creative songs, at least to me. This isn't too bad, it just never really did anything for me. I suppose it appeals to the less Ritchie Blackmore oriented fans, like a good two thirds of their catalog probably does. No matter how you slice it, this is a great song by anyone who does it. I happen to love the way Blackmore makes it his own here by featuring the melody, talk about fantastic. It's as spooky as I think the song was meant to be. This is awesome! This is a number with which they were opening shows at the time. It shows the band really on fire for the most part on what is otherwise just a typical track for them. Not one of my favorite moments on the disc, this isn't bad, and it is a highlight for Candice Night. This is much more like it, as Blackmore gets to stretch out quite a bit. However, it’s on what I consider to be a rather repetitive guitar line. This is perhaps the most medieval point of the record. A bit of chanting makes this a very dark number. Once again it's not bad, but nothing I find to be spectacular, either. This is definitely not a highlight number, just another traditional instrumental song. If there really is an epic point on the album, this would have to be it for me. It rings of a movie soundtrack that I can't exactly put my finger on, but I think the arrangement was lifted from the same thing. This is where Candice Night proves she can sing a good tune when she wants to. This is the album's token guitar instrumental piece, and once again it's nothing spectacular, but hey, it's Ritchie Blackmore. This is the best track of this kind on offer. I like everything about it from its traditional to its modern factors. Another typical track for them, this is probably the low point of the disc for me. It seems to serve more as filler. The Jethro Tull classic gets a great reworking here. In fact, I like this version just a little better, and that isn't easy to accomplish. But they somehow divide it up into equally featured parts of beautiful guitar and vocals. This is where the disc starts to peak for me. This is one of the best moments in the whole set, as they go Three Musketeer style, complete with bagpipes. The ultimate drinking song, this is excellent! This is a lovely ballad to close what is more or less a great album that stands the test of time. Once again Blackmore features some sublime acoustic work with which to close it.